Enhance your business with the full range of Multi Functional photocopiers from Olivetti. The main Olivetti Colour range are manufactured by Konica Minolta and are the same high quality products as the bizhub colour range. As one of the oldest anmes in the Eruopean office equipment market Olivetti also offer a range of printers and many other products. 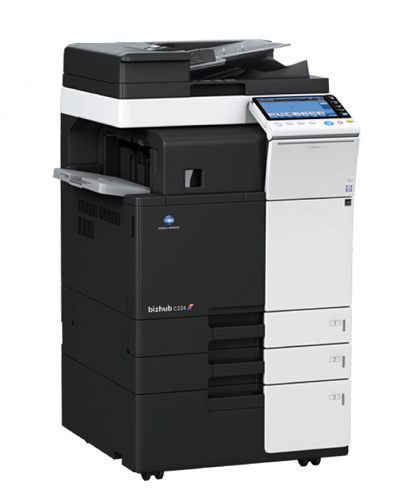 The MFP range offers straighforward photocopying, comprehensive network print, intelligent scan to email and network folders and complete integration with document capture, document management and cost recovery technologies. Full Colour up to SR-A3 size and 300 gsm printing. Print/Copy/Scan Fax option. Call us today on 0800 1244 199 to see how Photocopiersrus solutions can help you. If it's reliability you're after, backed by a strong and dedicated service team then look no further!